There were 17 cases of fallen windows recorded in the first five months of 2015 - 10 fewer than the 27 cases recorded during the same time last year, said the Building and Construction Authority on Friday (Jun 5 2015). In most instances of fallen casement windows, it was found that aluminium rivets used to secure the friction stays were not replaced with stainless steel rivets. These aluminium rivets were found to be corroded, the press release said. As for sliding windows, most did not have safety stoppers and angle strips to secure the window panels and the windows were not able to slide smoothly along the tracks, it added. Under the Building Control (Retrofitting of Casement Window) Order 2004, homeowners are required to change the aluminium rivets of casement windows with stainless steel ones. This applies to windows in all residential units except those in landed properties and the ground floor of buildings. 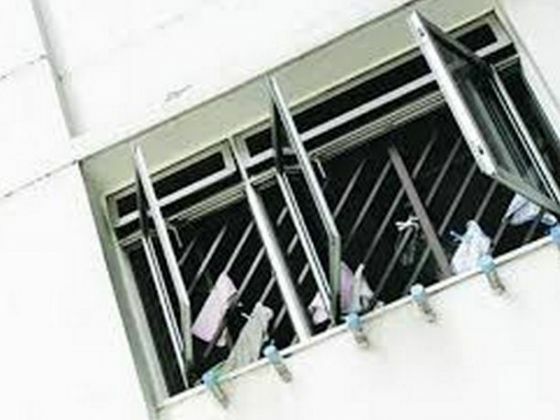 There were a total of 43 recorded cases of fallen windows from both Housing and Development Board (HDB) and private residences in the first eleven months of this year, according to a joint report released by the Building and Construction Authority (BCA) and HDB. Out of these, 23 involved casement windows, 18 for sliding windows while the remaining two fall under other types of windows. In a press release today (Dec 12 2014), BCA CEO Dr John Keung said that the cases “pose a safety risk to the public and (can) potentially be fatal”. Please perform a bimonthly check on the aluminium rivets of casement windows to see if they are rusted and need to be replaced. In addition, if you are purchasing resale HDBs, do consider replacing the aluminium rivets with stainless steel rivets during the renovation!